RVTools is a windows .NET 4.6.1 application which uses the VI SDK to display information about your virtual environments. Interacting with VirtualCenter 2.5, ESX Server 3.5, ESX Server 3i, ESX Server 4i, VirtualCenter 4.x, ESX Server 4.x, VirtualCenter 5.x, VirtualCenter Appliance, ESX Server 5.x, VirtualCenter 6.0, ESX Server 6.0, VirtualCenter 6.5, ESX Server 6.5, VirtualCenter 6.7 and ESX Server 6.7. 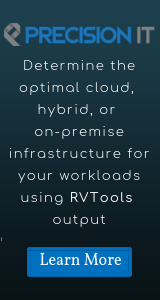 RVTools is able to list information about VMs, CPU, Memory, Disks, Partitions, Network, Floppy drives, CD drives, Snapshots, VMware tools, Resource pools, Clusters, ESX hosts, HBAs, Nics, Switches, Ports, Distributed Switches, Distributed Ports, Service consoles, VM Kernels, Datastores, multipath info, license info and health checks. 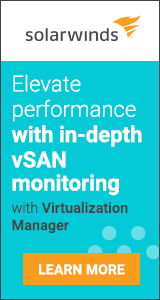 With RVTools you can update the VMware Tools installed inside each virtual machine to the latest version. More than 1 million copies downloaded! RVTools supports ESX Server 3.5, VirtualCenter 2.5, ESX Server 3i, ESX Server 4i, VirtualCenter 4.x, ESX 4.x, VirtualCenter 5.0, VirtualCenter Appliance, ESX 5.0, VirtualCenter 5.5, ESX 5.5, VirtualCenter 6.0, ESX 6.0, VirtualCenter 6.5, ESX 6.5, VirtualCenter 6.7 and ESX Server 6.7.